Actually, I’ve thrown you a curve ball there, as you’ve probably already guessed. It’s still pretty horrible, and my camera keeps misting up. 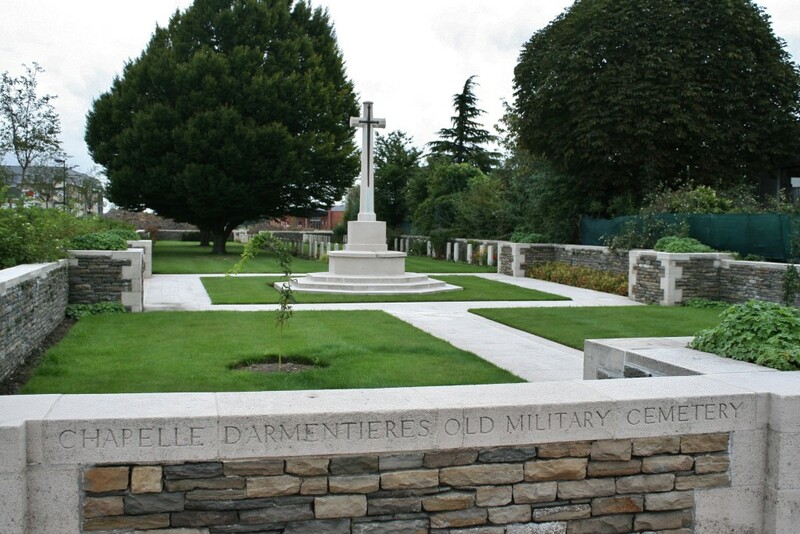 We are now in the middle of La Chapelle d’Armentières, just a little way south east, don’t forget, of Armentières itself. 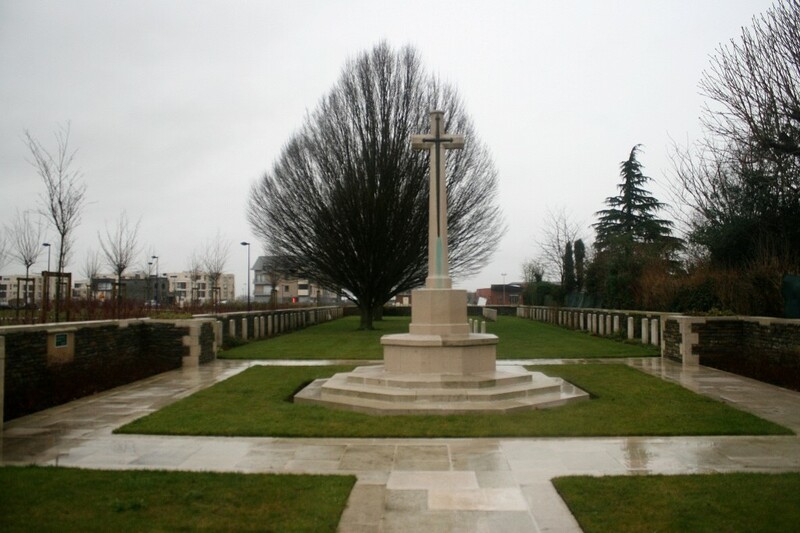 Waterproofs on, and away we go. 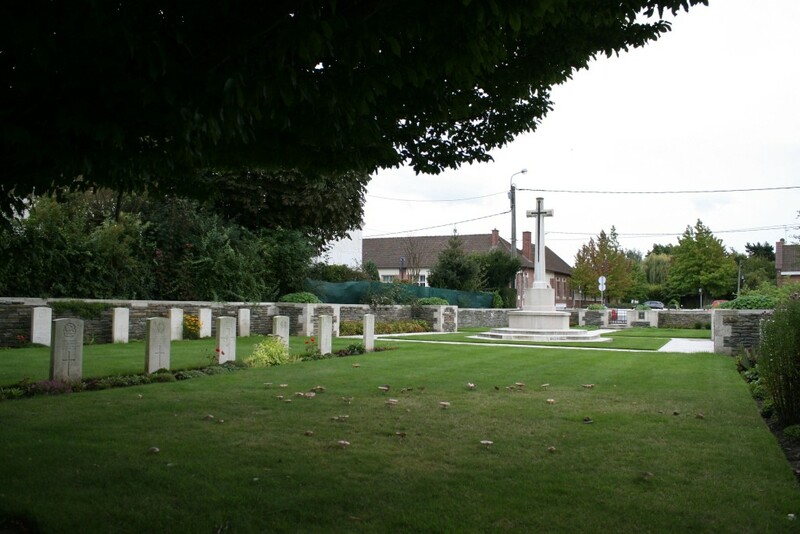 There’s a second cemetery beyond the houses in the background that we shall be visiting while we’re here. Chapelle-d’Armentières Old Military Cemetery consists of four rows of headstones, three of which run the length of the cemetery. 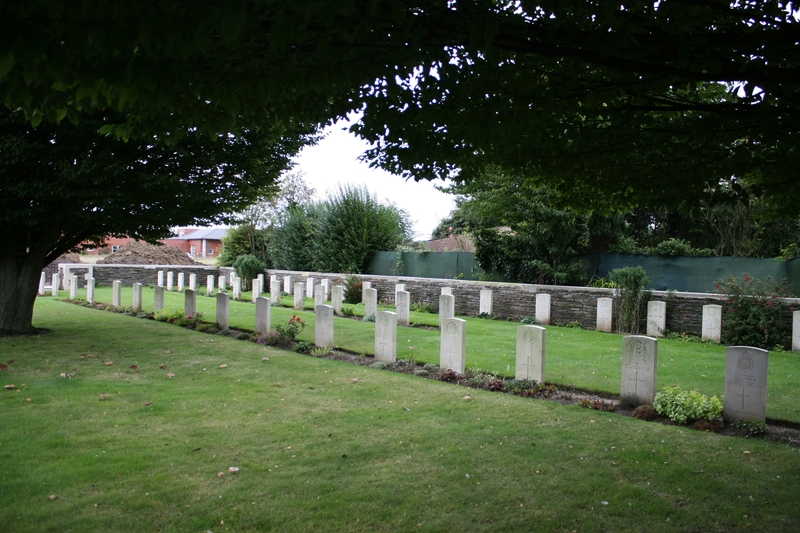 The other, Row C, seen above from the northern end of the cemetery looking back towards the entrance, contains the later burials in the cemetery, which was only used between October 1914 & October 1915. 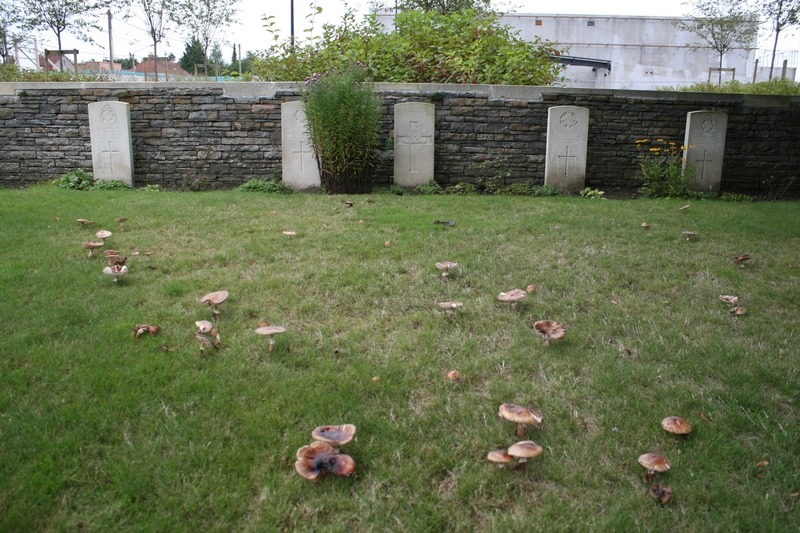 Here’s the cemetery plan. 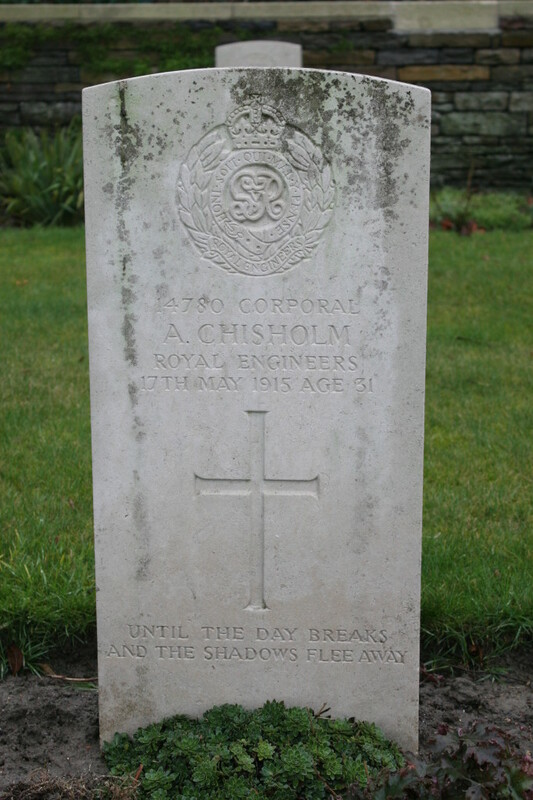 This is the grave of thirty one year old Corporal Alexander Chisholm, Royal Engineers, in Row B. 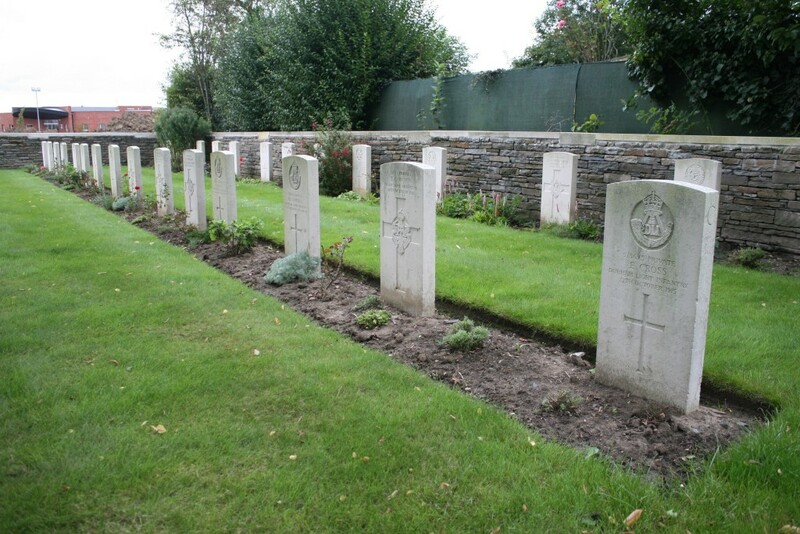 The long and the short of it seems to be that long-standing animosity between Chisholm and a Lance Corporal called Robert Lewis reached a peak in early May 1915 when, in front of witnesses, Lewis accused Chisholm of falsifying pay records. 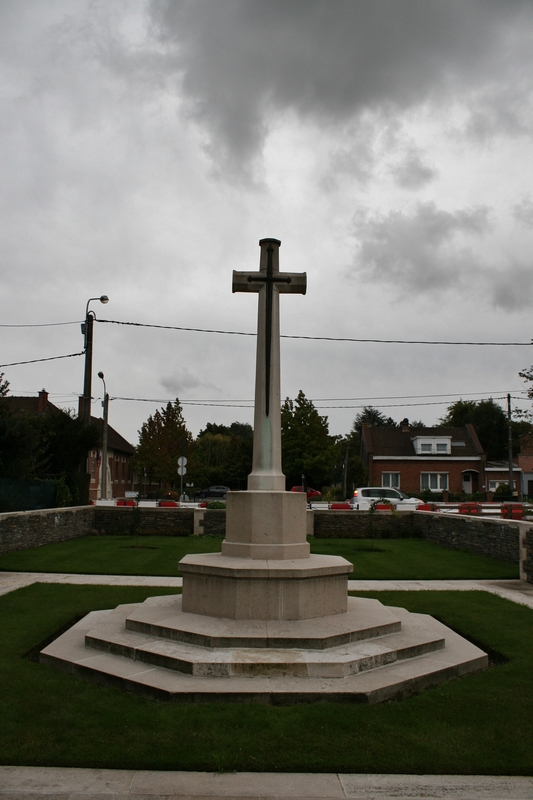 On 4th May, outside the Estaminet du Pélican in Bailleul, Chisholm shot Lewis dead. 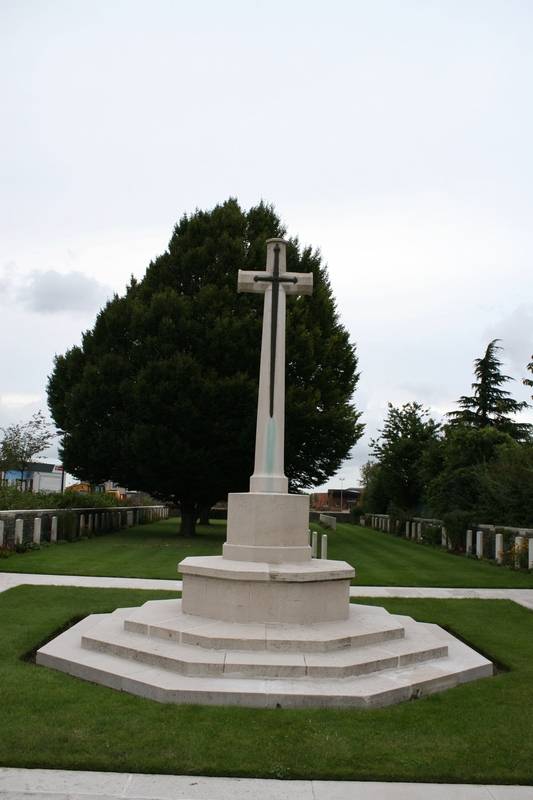 Two weeks later Chisholm himself was dead, executed for murder at the Armentières Asylum. Not long after, ironically, he was mentioned in despatches for previous good work. 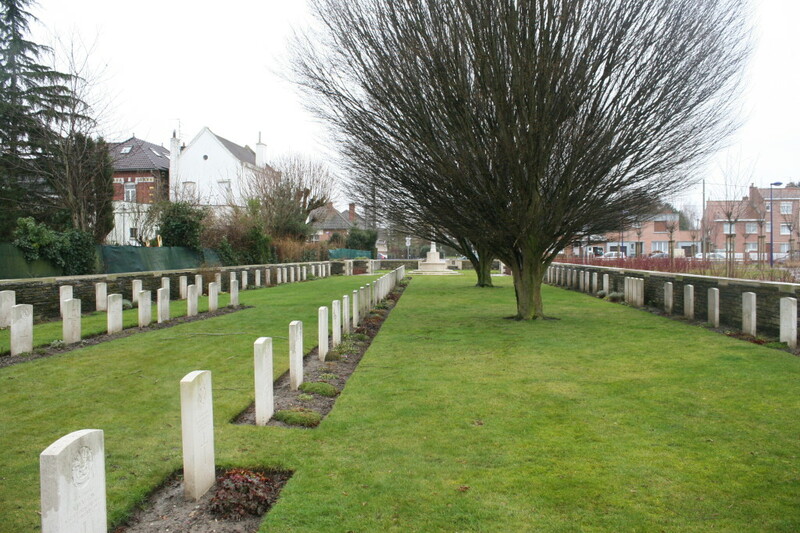 The unfortunate Lewis is buried in Bailleul Communal Cemetery Extension. 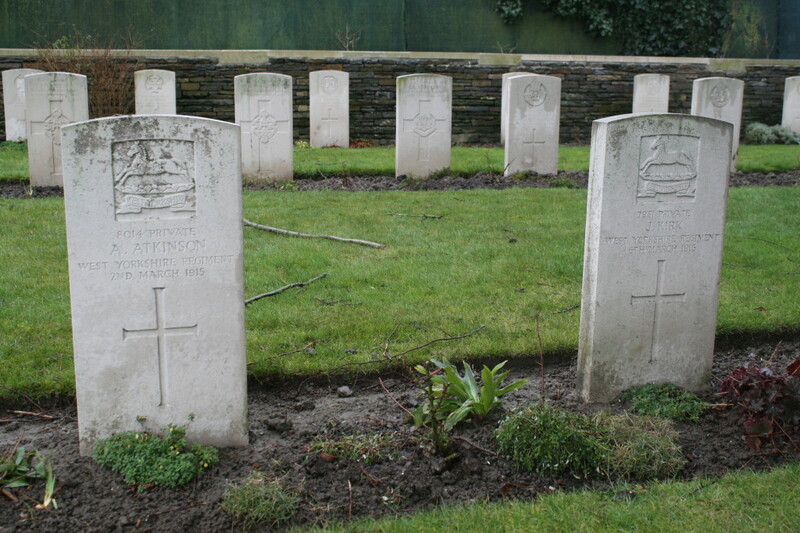 Privates Atkinson and Kirk were, for all the good it did them, pardoned, along with 304 others, in 2006. Corporal Chisholm remains a murderer. 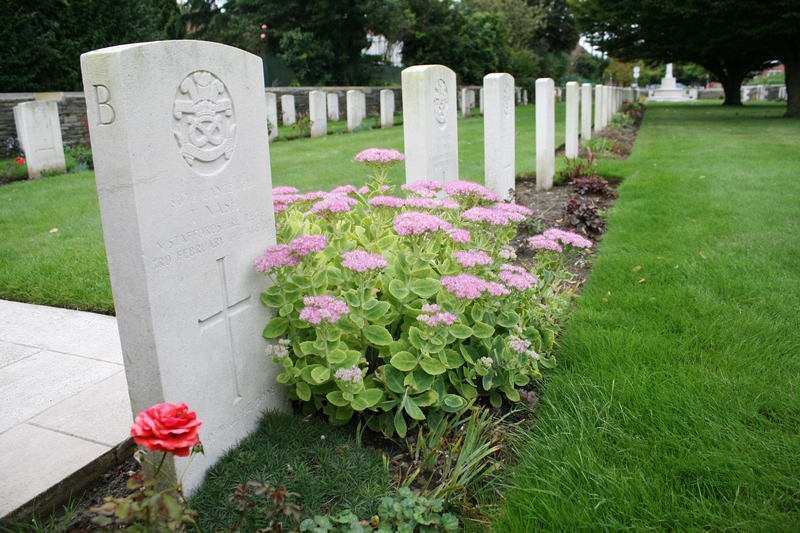 There are 103 burials in the cemetery, all but three of which are identified. 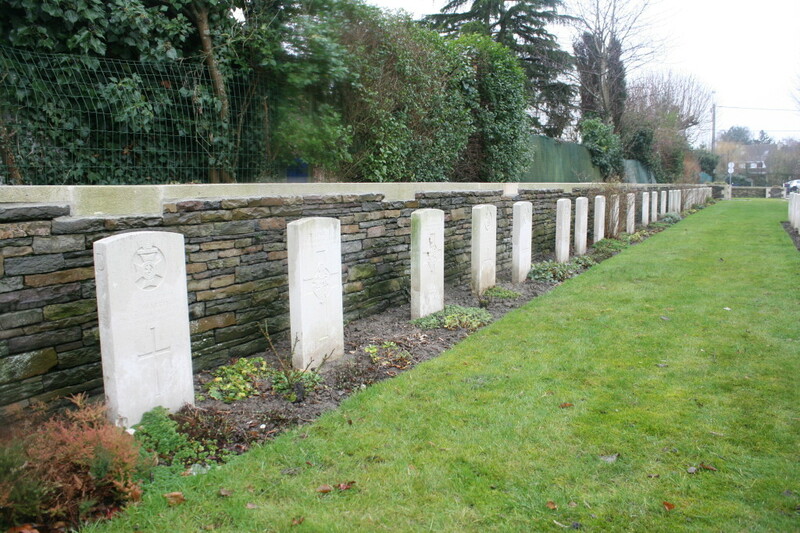 All the burials in Row D (above) are from the summer of 1915. 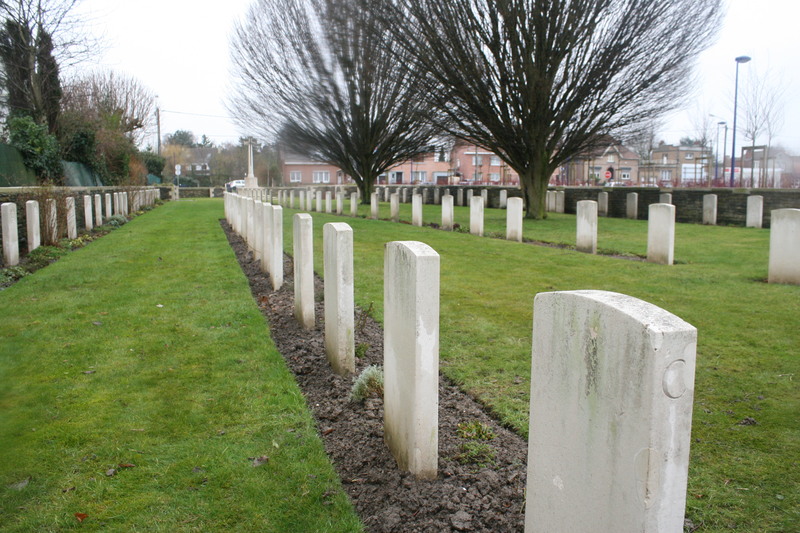 The earliest burials here, from October 1914, are to be found at the northern end of Row A (apart from the headstone nearest the camera, Lieutenant Charles Chads, who was killed in early January 1915. 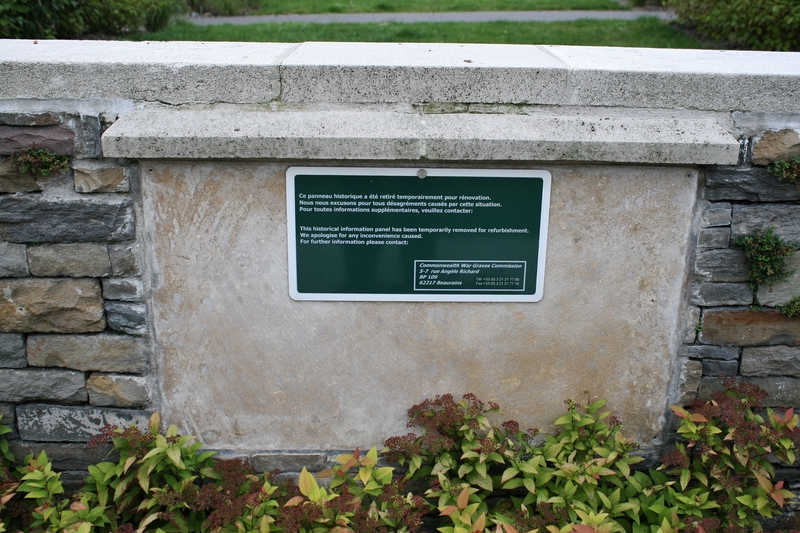 Just in case one of you spotted it.). 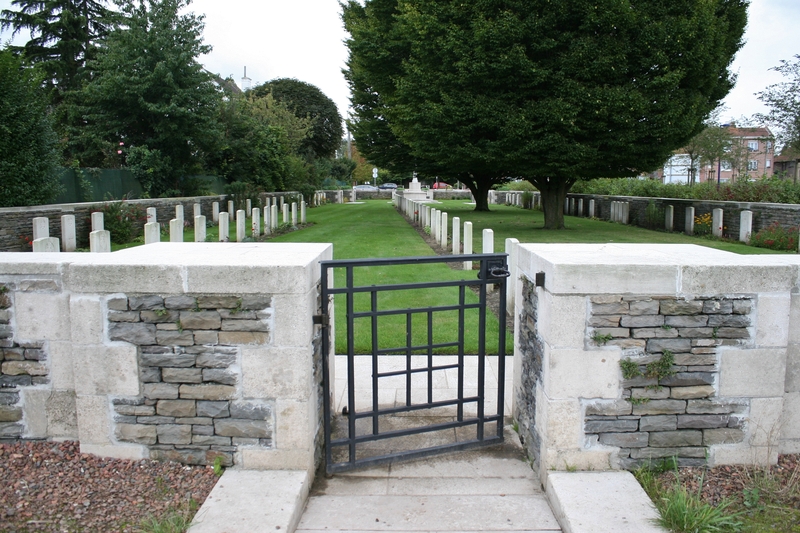 …Chapelle-d’Armentières Old Military Cemetery was another that we found ourselves returning to later in the year. Hence the earlier curve ball. And, let’s be honest, some of those first photos weren’t great, were they? These are better. Corporal Chisholm’s headstone, by the way, is nearest the camera in the centre row. Still being refurbished (see third photo in this post). 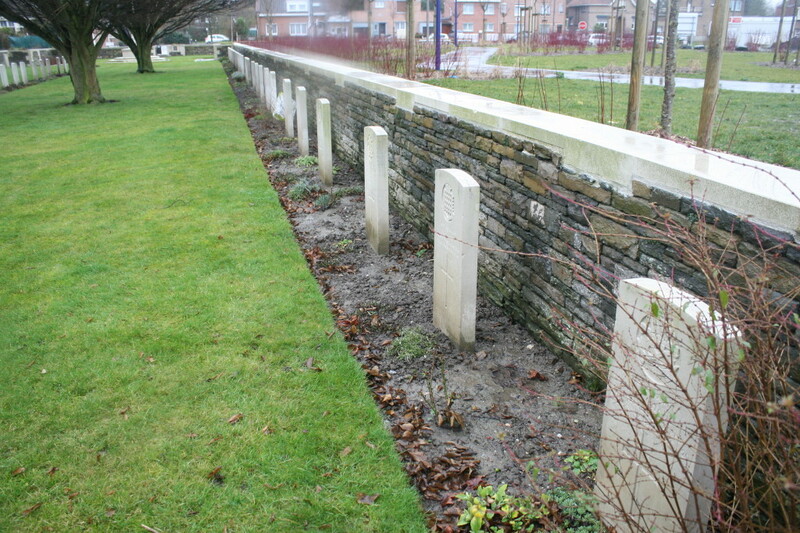 Headstones in Row A (above & below) along the western boundary wall. 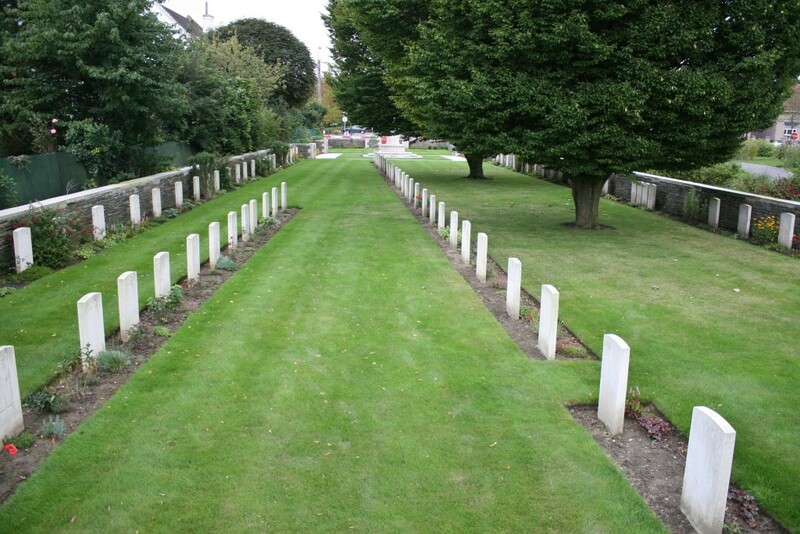 Looking back towards the cemetery entrance, Row A just visible on our right, and Rows B & D on the left. 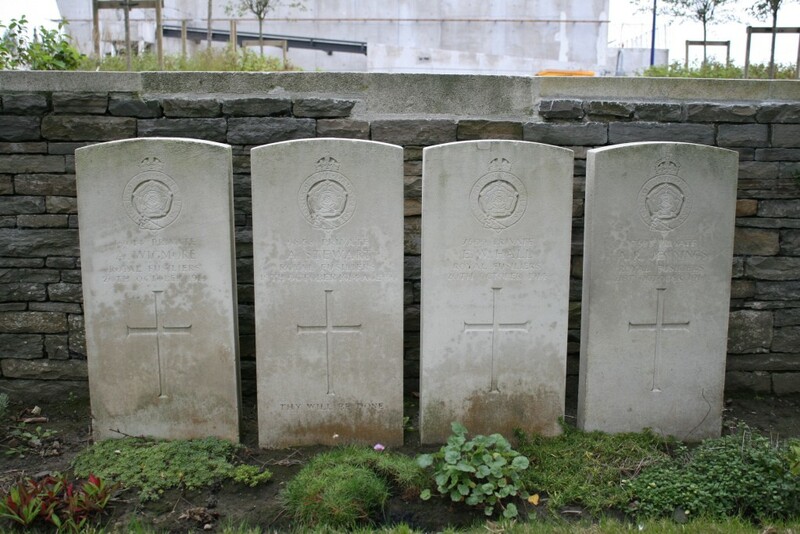 Some of the 1914 burials in Row A that I mentioned earlier, these four Royal Fusiliers were killed between 19th & 21st October. 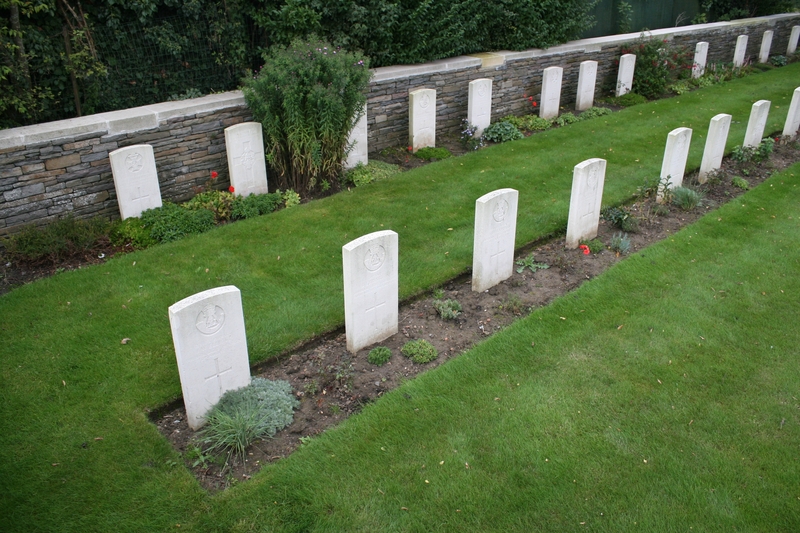 Row B (foreground), Rows C & D behind. 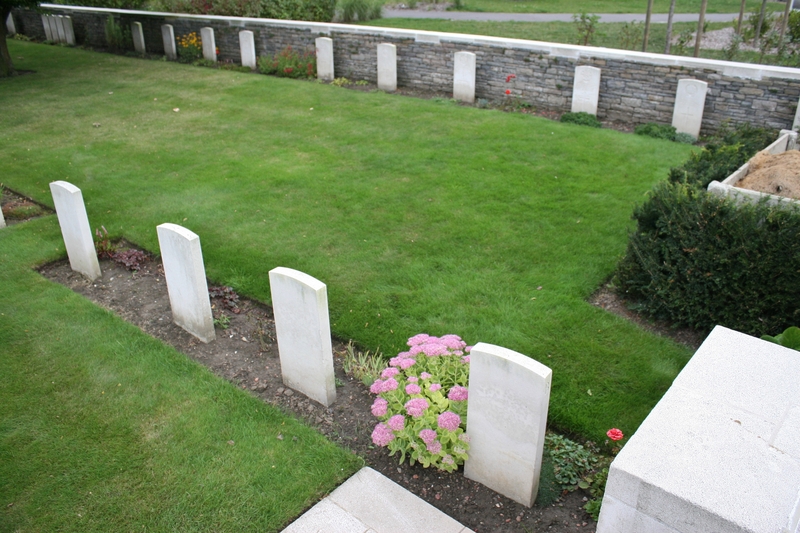 Row C, with the final burial in the cemetery, that of Private Cross of the Durham Light Infantry, killed on 12th October 1915, nearest the camera. 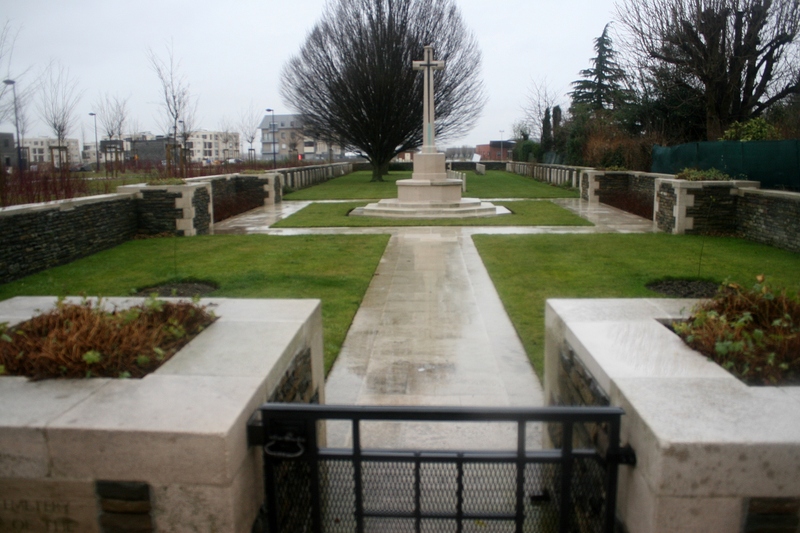 Above & following: Elevated views looking south down the length of the cemetery towards the cemetery entrance, the base of the Cross of Sacrifice visible in the distance. 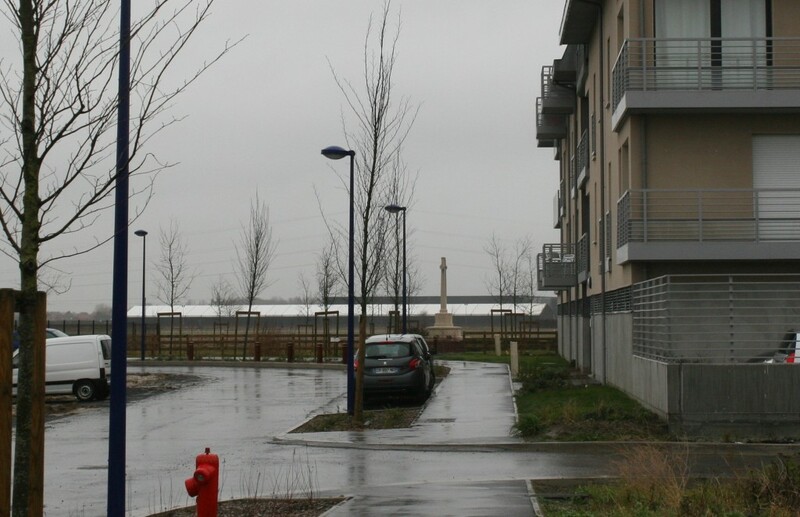 …and Rows B (foreground) and A. 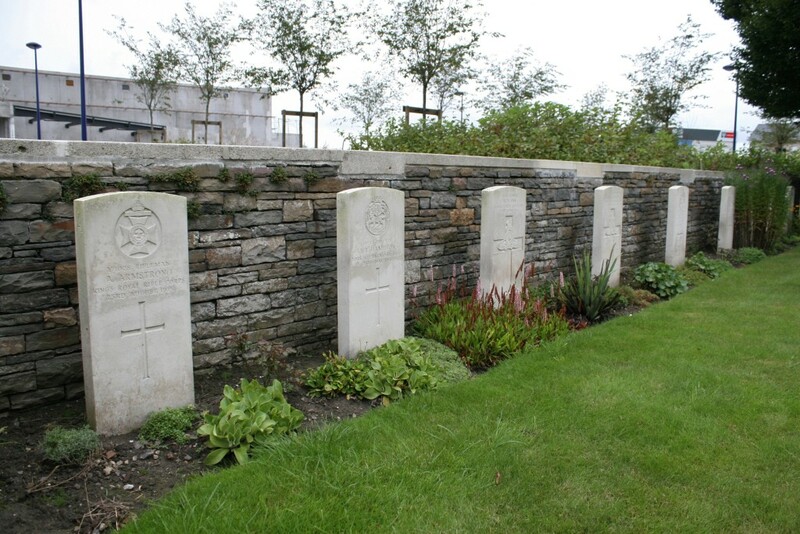 The first burials in Row B were made in early February 1915. …Chapelle-d’Armentières New Military Cemetery. 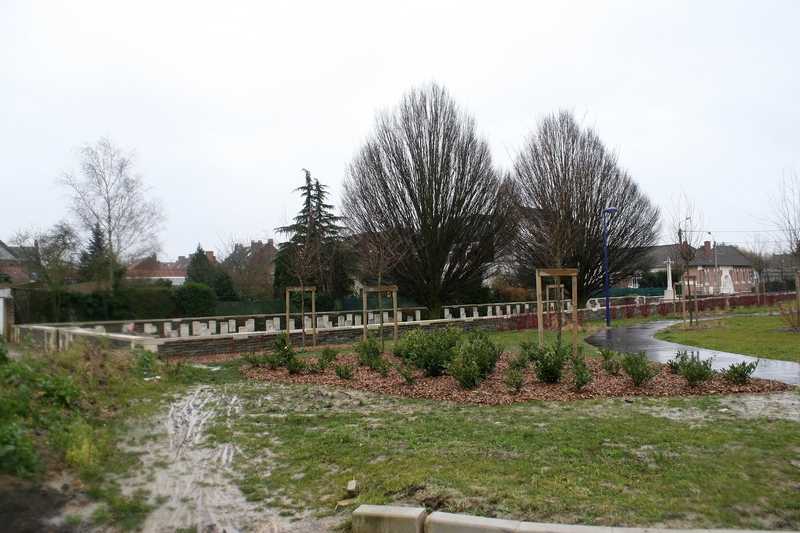 And, you will have noticed, back to the rain.